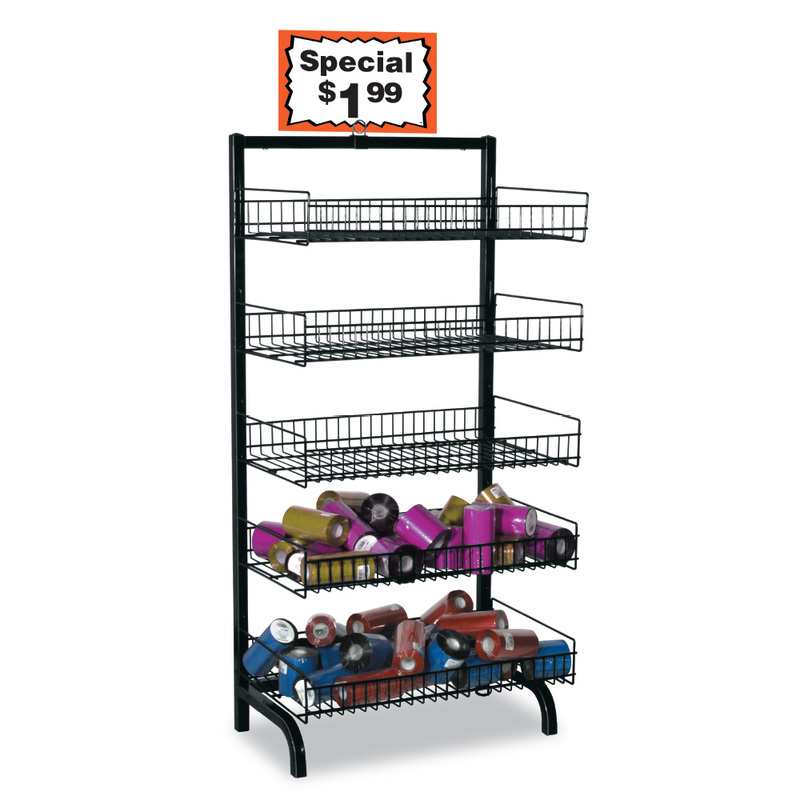 The 5 Basket Impulse Merchandiser is an effective way to merchandise candy and maximizes your profits. 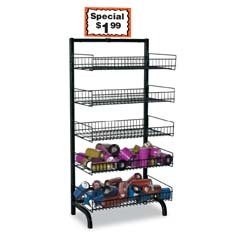 The Impulse Merchandiser contains 5 adjustable baskets measuring 23 in W x 14 in D x 4 in H each. The unit is available in White or Black. Sign holder Clip included.